When you hire a caricaturist, you will be delighted with the marvelous cartoons that they can create right before your eyes. We’ve gathered a list of the best caricature artists in MD below. Caricature artists make great additions to birthday parties, fairs and corporate events. Our friends at KidsParties.Party also feature some amazing caricature artists serving areas throughout Maryland. Call 240-472-9688 to discuss your caricaturist needs! 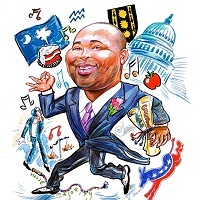 Barry Clompus, the artist behind A Better Caricature, has been in the party entertainment industry for over 20 years! Barry has been entertaining at events and private parties since 1990 and continues to delight guests of all ages with his unique and hilarious caricature drawings. 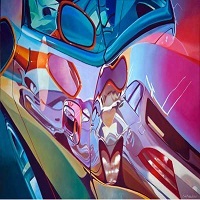 Although Barry studied at both Montgomery College-Rockville and The University of Maryland-College Park, he prides himself on being a self-taught artist. At the young age of just three years old, Barry started drawing recognizable cartoon characters. He quickly realized he should use his passion for drawing to bring entertainment and joy to others, which is why later in life Barry became a professional caricature artist. He specializes in capturing a strong likeness of his subjects in a cartoon-style caricature drawing, which takes about 5 minutes to complete! Barry is available for hire for a variety of events from birthdays to weddings, graduation parties, fairs, festivals and more! Rates begin at just $100 – $125 per hour! He is also an illustrator and award-winner watercolorist, who is happy to take commissions! 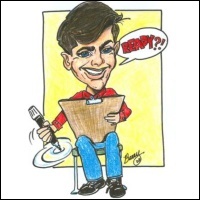 Call 240-472-9688 or email artsby_barry@comcast.net to book Barry from A Better Caricature for your next event in Annapolis, Prince Georges, Montgomery or Howard counties today! George V. Edwards is one of the most famous caricature artists in Maryland. He does art styles in traditional mediums such as oil, pastel, charcoal and photography as well as abstracts and digitally created works. He likes family portrait paintings and pet portrait paintings. He paints from a photograph provided by the clients on various topics such as people, pets, landscapes, houses, cars, boats and so on. The artist charges $350 for oil Paintings, $185 for pastels and $130 for charcoals. 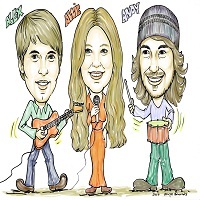 You can also hire this artist to sketch caricatures at parties and other types of events. 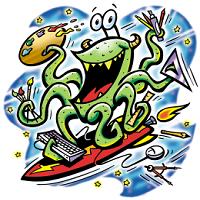 The Auger Artwork Studios is a business owned by a famous designer Michael Auger. Michael Auger is definitely one of the most famous caricature artists in MD. This artist creates young, smart art that is attractive yet simple and appealing to the visual senses. The Auger Artwork Studios works for all categories of paintings like Animation, Graphic Design, Illustration, Offbeat Fine Art and so on. 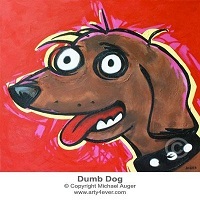 If you want them paint caricatures please contact the Auger Artwork to get the best paintings. Fletcher Art is one of the best destinations for the caricature paintings. The artist Cindy Fletcher Holden is the owner of Fletcher Art. She successfully graduated from the Maryland Institute College of Art in 1983 with a BFA in painting and she was the second to top in her class. She married Robert Holden, a professional sail maker in June of 1988 and they started the Fletcher Art in MD. 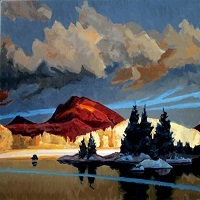 In 1990 she started Fletcher Art with wide variety of artistic services. Please come and visit Fletcher Art to see how it is ready to serve you through your desired paintings. They are also great Maryland caricature artists. 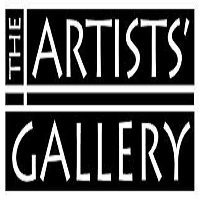 The Artists' Gallery is a member-owned gallery which represents media that includes caricature paintings, oils, water coloring, collages, acrylics, pastels, charcoals, traditional photography, hand-colored photography, digital photography, stained glass and clay. The mission of this gallery is to inspire the pleasure of the visual arts with shows by professional artists, working in varied styles and media. This gallery is also the best place where you will find the most famous caricature artists of MD to hire for your kid's next birthday. People come here to enjoy many exhibitions arranged by the Passageways Artists Studios and also to make get their favorite paintings. So if you want to collect any drawings or to make any paintings please do not wait too late to visit the Passageways Artists Studios. The Imperial Graphics Ltd is a famous business company owned by a famous Maryland caricature artist, Lena Liu. Lena Liu is actually a popular name to the art lovers. 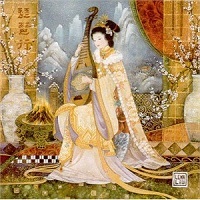 Now-a-days Lena Liu is an artist of unparalleled popularity around the world for her beautiful paintings. She always likes to paint caricatures, beautiful birds, tranquil landscapes, and breathtaking floral and musical equipment and so on. If you want to get a caricature painting done please contact this famous artist and get exactly what you want. 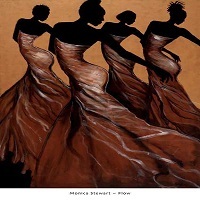 Things Graphic & Fine Art is America's largest distributor of fine African-American prints. It is a company which was established by many famous artists and now-a-days it has a great reputation not only in the USA but also all over the world. Things Graphic & Fine Art in District Heights, MD is a private company categorized under Miscellaneous Retail Stores (Unclassified). It was established in 2006 and incorporated in Maryland and still now it is working with a great reputation worldwide. Check out these MD caricature artists for your next event. 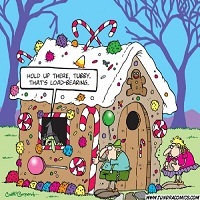 Gag Cartoons is the name of a famous cartoon and caricature art providing company. The owner and the artist of the Gag Cartoons is cartoonist Gregory Kogan. He is a famous and professional caricature artist in MD with more than five years of experience. Gregory Kogan draws gag (magazine) cartoons, illustrations, greeting cards, caricature paintings and anything funny. So if you need any caricature art or any funny painting for your party please contact this great artist, Gregory Kogan. The famous artist Larry has been providing so many paintings and illustrations for over twenty three years in Maryland. He has a unique power of creativity which he is now one of the most famous caricature artists in Maryland for it. Larry works from the very beginning of an idea to the end product. The talents of this famous artist bring the client's ideas to life. If you need to have any paintings or illustrations done please don't hesitate to contact Larry Jones because he will do the best job for you. Dana Verkouteren is a well-known MD courtroom caricature artist whose work has appeared on several international television networks such as CNN, ABC and FOX. She has a great reputation in Maryland for her caricature sketches and portrait work. In her long working life as a caricaturist she has always tried to make a reflection of people's emotions and expressions through her paintings. She has also done many jobs for different medias. She always enjoys her work through seeing the wonder and uniqueness of each individual.